Experience luxury, privacy and tranquility in a green oasis. 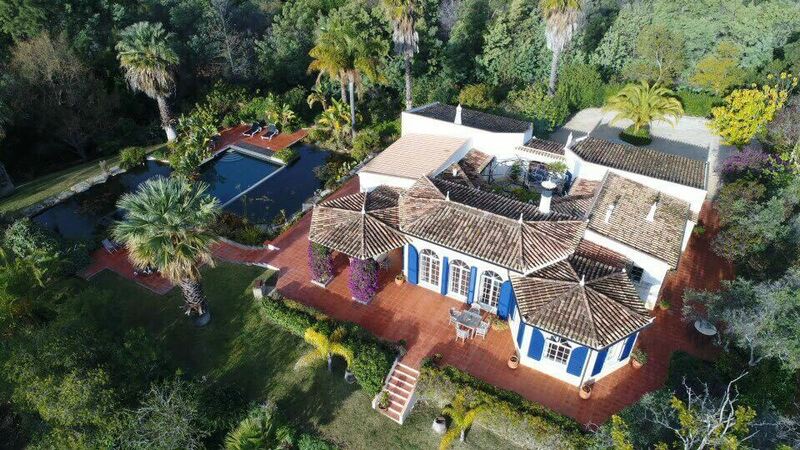 Here in the Western Algarve at the foot of the Monchique Mountains, we have 2 luxurious, holiday villas on a large, hilly estate with beautiful views. A unique place for an unforgettable stay. 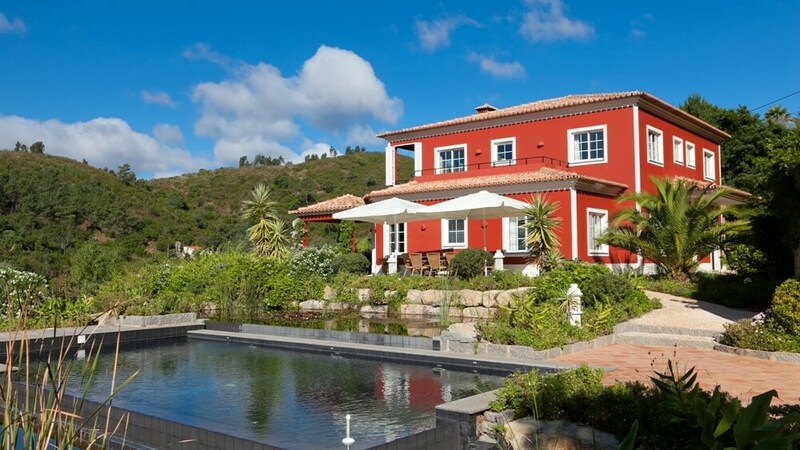 Our luxury holiday homes Villa Foz do Banho and Villa Ribeira do Banho, can accommodate 8 and 14 people respectively. Both villas offer absolute privacy and each have their own unique swimming pool and beautiful garden with numerous native plants, trees and flowers. You rent the holiday villas directly from Dutch owners. Check availability. The mild climate, white villages, spectacular rock formations and beautiful white sandy beaches make the Algarve in Portugal a popular holiday destination. Every season has its own charm. Discover the Algarve also outside summerseason. Choose to spend the beautiful green spring or mild autumn in our luxurious holiday homes villa Foz do Banho or villa Ribeira do Banho. The central location of the holiday homes, in the green hinterland of the Algarve, offers you the chance to get to know the Algarve. In all seasons, in all its facets. Whether you like the sea, golf, cycling or walking. Algarve has a maritime climate, which ensures mild winters and warm summers in Algarve Portugal. With an annual average of 3000 hours of sun and 300 days without rain, the Algarve is a wonderful place to stay. Even in winter the temperature in the Algarve is pleasant with 16 to 17Cº during the day. The summers are dry, warm but pleasant with average temperatures of 28Cº during the day and 18Cº in the evening.